Invisalign® braces are removable so eating, brushing and flossing are no problem. You can still enjoy your favorite foods and smile without holding back. With Invisalign® you won’t need to hide your smile. We welcome enquiries about treatments at the practice and would be delighted to speak to you without committing to treatments. If you call the practice and book a suitable time a member of our team can go through options available to straighten your teeth. You can then decide when to book your consultation. 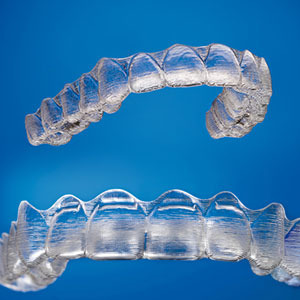 We take dental impressions and clinical pictures of your teeth during the consultation and once we have determined that Invisalign® is the right choice for you, we can provide you with a 3-dimensional image of the projected result after treatment to help you decide whether you would like to go ahead with the treatment.